The benefits of a Seamless Gutters in St Paul can transcend just durability and performance. Minnesota Leafless Gutters are custom fit for each application. This gives us the capabilities to create a Continuous Gutter System that wraps around a structure. There are no gaps or seams where traditional gutters will develop leaks and drips. Water can be funneled away from the building and directed to an area with appropriate drainage. Our expertise in conforming seamless gutters to complex roofing structures ensures that you can receive a custom fit for either a residential or commercial structure. Traditional gutters have multiple seams that can result in gaps. Dripping and Leaking are telltale signs that your structure has a traditional gutter system installed. A Custom Fabricated Seamless Gutter System can be designed to be one continuous gutter system that conforms to the shape of the building. Minnesota Leafless Gutters can create a wrap-a-round system around the entire roofing structure. Areas where a downspout could be inconvenient or not beneficial and could be redirected to a place that works better. Commercial overhangs and surfaces with poor drainage are two areas where this can be of significant benefit. Whether gutters are installed on an individual home or a commercial structure the process is the same. There are no seams that will eventually fail and create gaps where lengths of gutter connect together. A Seamless Gutter System from Minnesota Leafless Gutters has No Gaps, No Drips and No Leaks that can create water intrusion problems for your home or business. Don’t hesitate to call Minnesota Leafless Gutters if you want superior, long lasting durability and performance in a Quality Seamless Gutter System in St Paul. 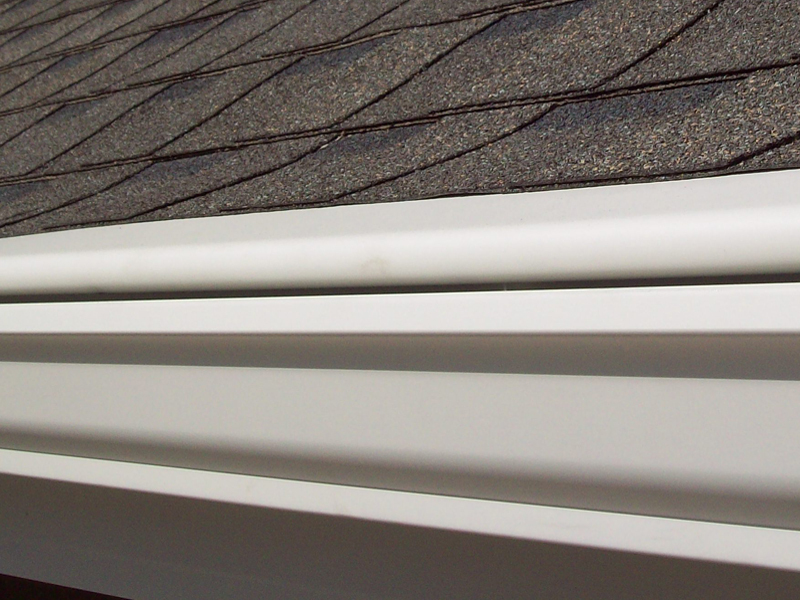 Our experts custom fabricate seamless gutters and downspouts using the Thickest Gauge Gutter Materials in the industry. You can choose from more than 100 colors for the look and style that you desire. Our continuous gutters provide excellent benefits for both Residential and Commercial applications.